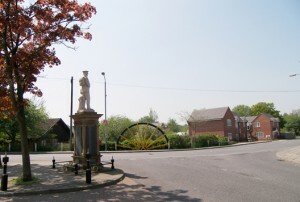 Jacksdale War Memorial is unusual as it not only lists those who gave their lives in World War One and Two but also lists those from Jacksdale and Westwood who served during World War One. Since the original unveiling in 1921, villagers and the British Legion have gathered together here on Remembrance Sunday. This memorial was unveiled in July 2014 and cost £38,000. 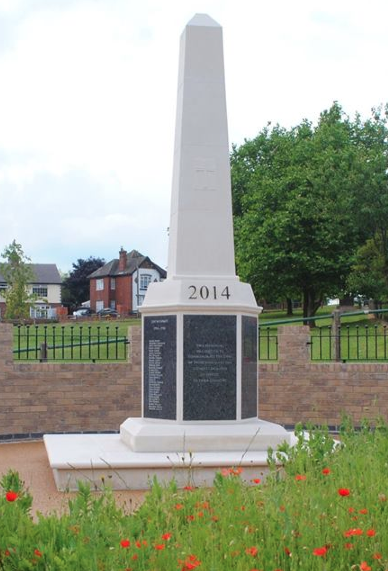 Nottinghamshire County Council’s Supporting Local Communities Fund provided £20,000 towards the memorial, with the remainder coming from Ashfield District Council and Selston Parish Council. The Portland stone obelisk has six sides at its base with the names of more than 80 local servicemen who died in the two world ward being carved in grey granite. One panel bears the names of Selston’s World War Two fatalities. The inscription reads ‘This memorial was erected to commemorate the lives of those who made the ultimate sacrifice in service to their country’.